All inventors require a basic understanding of the patenting system if they are to develop successful applications to protect their inventions. 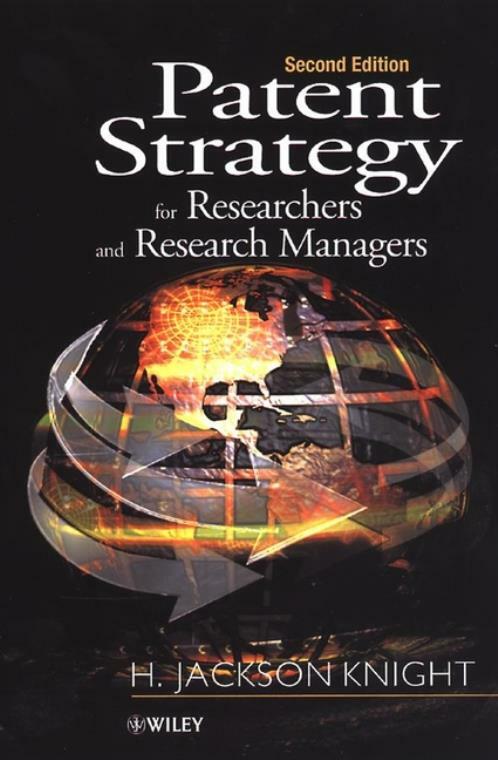 Patent Strategies, Second Edition, introduces researchers to patent applications and patent portfolios. With minimum use of ′′legal jargon′, it provides the technical professional with the help and advice they require to understand the legal complexities that they may encounter before and during a patent application. It also discusses the responsibilities of the researcher after patent applications have been filed and the role the researcher can play in the maintenance of a global patent estate. This new advice will enable all researchers to file the best possible patent and maintain a good portfolio. Researching With Intellectual Property in Mind. Infringement and Freedom to Operate. Working With Attorneys, Agents, and Liaisons. The Future of Intellectual Property Efforts.